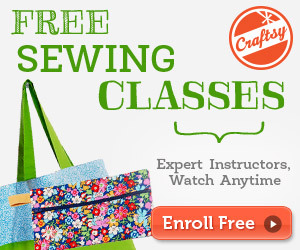 So you have a sewing machine, but do you know how to use it? What is the little lever in front of the needle, and how do you make it work? Although there are many types of machines out there to use, all have the same basic parts. Do you have any idea how to thread it? If not, prepare to learn hands on! Below are some of the parts and how they work, as well as what they do and how you will use each of them. We have to start somewhere, and this is the ground floor for being able to work your machine. I suggest that you right click on the image and open it in a new tab so you can see it on a bigger scale while reading the content below. 1. Spool Pin/Bobbin Pin Winder– Put your empty bobbin here so that when thread is put on your spool holder, it is then wound onto the bobbin pin to make a full bobbin. Sometimes this is done on the side of your machine, other times it is on top. All work the same way. 2. Main Thread (spool) Holder– This is where you will place the thread you will be using for your project, so that it can be wound through the machine and down into the needle. 3. Thread Guide– This is the first spot your thread goes through when first threading your machine. This is its’ only purpose. Thread is wound around the spring mechanism to hold it taught. 4. Thread Take Up Lever– This is used when threading your machine. The thread is passed through so that when the machine makes a stitch and the needle goes up, the thread corresponds. 5. Extra Spool Pin Space– This is used for storage of an additional spool pin on some models. 6. Upper Tension Control– Some machines have a wheel, others have a button and still others offer a push and release valve. This is used to tighten or loosen the thread in the upper portion of the machine, so that your stitches stay uniform. You can use this with many different stitches, as some require tighter stitching than others. 7. Lower Tension Control– Common on newer machines, this wheel allows for you to tighten or loosen the thread on the lower portion of the machine from the take up lever down. 8. Thread Cutter– Some machines offer a thread cutter here, which allows you to pull your thread over it to cut without using scissors. 9.Feed Dog/Throat Plate– Thin bars that move back and forth, helping to push your material beneath the needle and across the needle plate. 10. Needle Plate– This metal plate is where the needle goes into and out of the machine while creating stitches, and picks up the bobbin thread to do so. There are normally vertical markings on this plate to allow for keeping your material straight while stitching. 11. 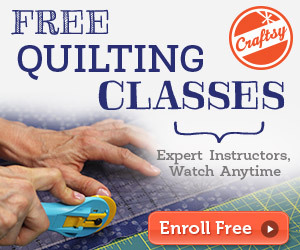 Free Stitch or Arm Cover– This is a removable cover so that you have more control over your material. Some machines use this space inside the cover as a storage area, and others have the drop in bobbin in this area. 12. Pressure Foot– This little baby is also called a presser foot by some, so don’t get confused; the terms are interchangeable. Depending on the kind of sewing you are taking part in, there are different pressure feet you can use. This is lowered by a lever over the top of your material, so that the thread can pass through the material to create a stitch, while holding the material taught, which works hand in hand with the feeder. 14. Stitch Selector– Some machines have a wheel, others are electronic and show this on the screen. You will choose the type of stitch you want to use here, and this is what the machine will put into your fabric. 16. Operation Panel– This small window will show you either the number or name of stitch selected on many models. If electronic model, this will be an LCD or LED reading panel to allow you complete operation of your machine. 17. Hand Wheel– Some machines offer this, while others do not. This wheel allows you to hand manipulate the speed your machine works at. You can slowly use your hand to work through a difficult stitch or portion of fabric, or it can be used to stop your needle in the up or down position. It will just about always be on the side of your machine, and is even found on quilting machines. 18. Power Button– Newer machines allow for you to power on and off instead of simply plugging and unplugging your machine. 19. Foot Pedal and Power Plug– The foot pedal and power cord are both incorporated into one cord on this model. This location allows for them to be plugged into your machine to offer power and allow the use of the foot pedal. 20. Pressure Foot Lever– This is lifted up to allow the pressure foot to raise, and lowered in order to lower your pressure foot onto your fabric. 21. Button Hole Lever– For manual button holes, this lever is used to begin and end the button hole. Specific instructions for your machine will tell you how to use this. 22. Foot Pedal– This is your best friend once you learn how to stitch quicker. When you press down on the pedal, your machine will sew. When you release it, the machine will stop sewing. Homework: Look over the list and find each part on your sewing machine. This way you will know in the next lesson, what parts to use and which ones are not used. Knowing your machine is the best way to decide what kind of sewing projects you are ready to take on. Now that you know these parts, let’s move on to the next lesson!